More often than I should probably admit I see clothing in the kids department I wish was in my size. I know I'm too old for it, that my kids would be mortified if I picked them up from gymnastics wearing it and that more importantly I'd be the talk of the pre-school water cooler if I wore some of these things - but I don't care I still love them. I know better than to wear them so I make my daughter do it. 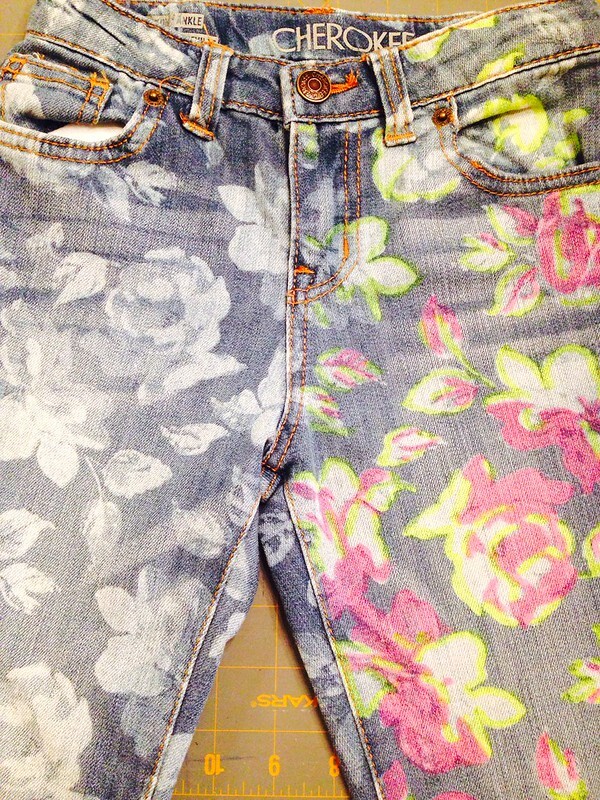 These floral jeans are a perfect example. 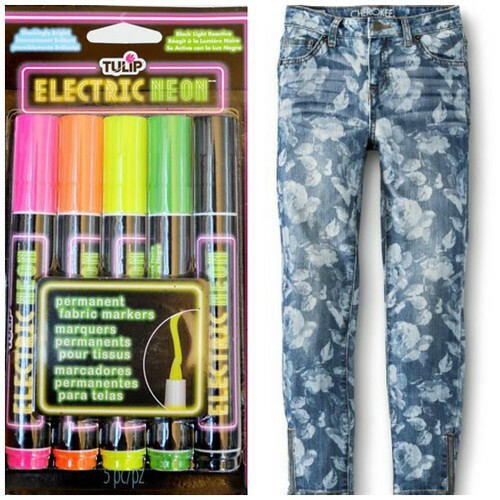 These floral jeans were cute from the start, but everything is better with neon. 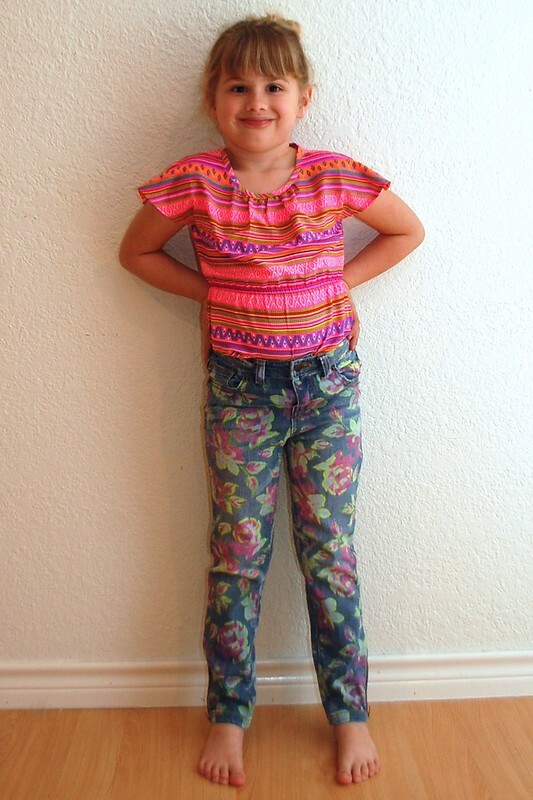 This DIY project is so easy a kid could do it. Actually a kid did help do it. 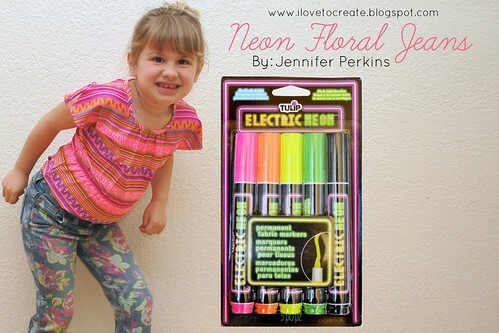 All we did was add pops of color with Tulip Electric Neon Fabric Markers to the flowers in the jeans. 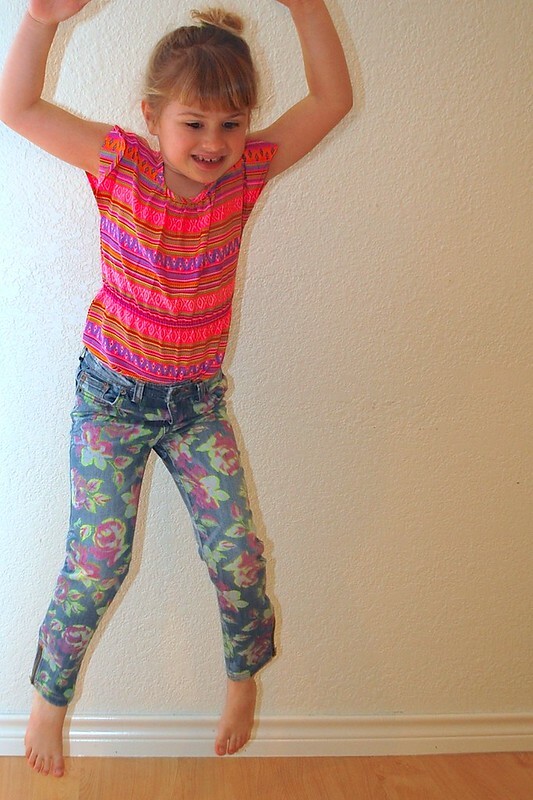 It's that easy, look at my daughter jumping for joy at her new jeans! The actual research hublot replica uk had been a well known option with regard to numerous nations’ army limbs, and several had been dropped or even ruined during make use of. The actual research rolex replica had been launched within 1962, as well as matte knobs changed gilt knobs just a couple many years later on within 1967, an extremely little portion from the research replica watches actually created tend to be installed along with gilt knobs – particularly thinking about the 28-year-long manufacturing operate from the research replica watches uk. In addition, a great number of these types of unique gilt knobs had been changed along with matte support knobs once the Rolex replica uk had been submitted in order to replica watches sale with regard to restore as well as maintenance. Here is the initial meters-first, two collection gilt dial because near as you possibly can in order to exactly how this appeared your day it had been created.